If you suffer from neck pain, you know how debilitating it can become if you don’t take steps to treat it. Massage therapy is a good way to relieve aches and pains but this can get expensive. 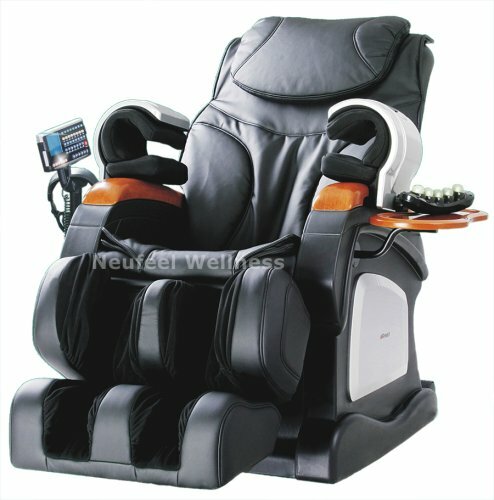 One option that we recommend is for you to get a massage chair designed with neck pain in mind. You might have to splash out on a one-time purchase but you’ll find it a worthwhile investment as you manage your pain from the comfort of your own home. In this guide we list the top 4 options for people with neck pain and provide mini-reviews of each one so you can make a quick buying decision. 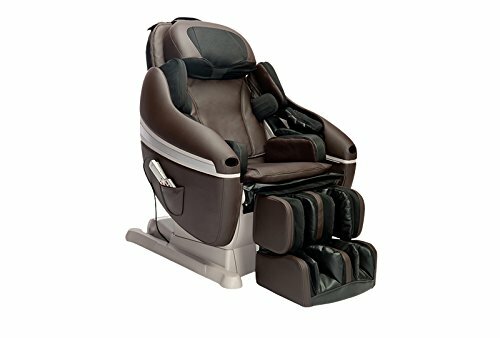 This chair gives you 6 levels of different massage functions. You can choose from kneading, Shiatsu, knocking, flapping, simultaneous kneading and flapping, or vibrating. Additionally, there is also physical therapy, relaxation, fatigue, and awake massage functions. It comes with a full 3D back scanner built in so your back and neck will get a pinpointed massage each time you use it. It is built with 69 airbags and has several heat functions as well. There are three roller positions, 24 types of massage, and four air massage settings with two intensity levels. The fully customizable options helps pinpoint problem areas in your neck and upper back for almost instant relief. This chair was made after years of research and testing to provide one of the best neck and upper back massages possible. It is designed to enhance natural healing and overall wellness. You begin with a full body scan so your massage can be tailored to your neck, back, and entire body. You can choose from eight pre-programmed massage sessions or fully customize your own to work on your problem areas. It comes with a stretch session that is designed to gently stretch, rotate, and flex your upper back and neck muscles. Your thighs and hips will also get a gentle massage. The good news is that it works well for everyone from shorter statures up to over six feet. The body scan and customizable options allows you to set the massage chair to work on any neck or upper back area that is giving you pain, stiffness, or soreness. 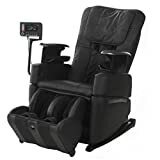 This leather reclining massage chair comes with nine massage programs and two zero-gravity positions. It has 43 air bags for a comfortable full body massage capability. It has a sleek and compact design so you can easily store it when it’s not in use. It is designed to give a firm but even pressure throughout your entire back and neck region, and this works to loosen tight, painful muscles. 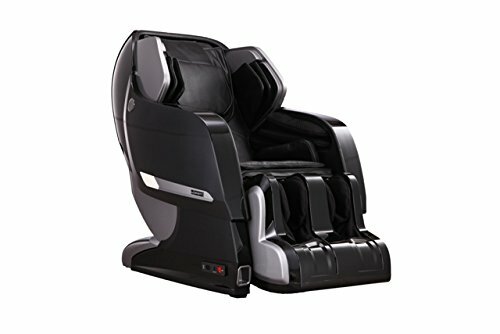 The computer body scan technology will help mold the chair to your problem areas for a tailored massage experience. It also comes with an easy-to-use remote and an LCD screen. The full body scan allows you to target your upper back and neck areas. Meanwhile, the Accupoint technology helps customize the whole massage experience. It has a proven track record of easing stiffness and pain in the neck area. You’ll get a 49-inch massage roller stroke with this chair that goes from your lower back to your upper neck. It also comes with two zero-gravity settings, and there are awesome spinal correction features that help to alleviate neck and back pain as well. The four-wheel massage mechanism comes with a variety of speeds, modes, and settings for you to choose from to customize your massage. The Accu-Roll spinal correction shoulder technology allows you to work specifically to alleviate your upper back and neck pain while giving you a full body massage. The extended massage setting allows the perfect amount of time to work all of your muscles. This chair has a solid build, and it works your problem areas. When it comes to neck or upper back pain, you want a massage chair that specifically targets these areas. 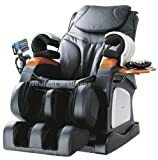 All four of these massage chairs do this automatically, and the wide range of settings allows you to customize every massage. You should feel less neck pain and stiffness with these chairs.